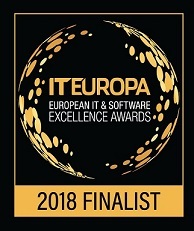 The IT Europa Awards have been running for 11 years now and recognises software companies who have excelled in their field of work. Stephen Connolly, CEO of Ordorite speaks about being nominated for these awards. Ordorite was formed in 2006 by CEO Stephen Connolly. Since 2006 we have created a robust retail management system for furniture and bedding retailers, to cater to all aspects of their business from point of sale, purchasing, delivery scheduling, customer service, warehouse, omnichannel and management reporting. Our newest features such as our suite of mobile apps and our customer marketing feature help us to stand out from any other retail management system, in being the best and and most innovative in the market. The IT Europa awards take place in the Royal Garden Hotel, London on Thursday 14th March! For more information about our software, click the link below for a free consultation.